Our resident food and whisky expert, Martine Nouet, is moved to mount a passionate defence of using the spirit in cooking – responding to Neil Wilson’s previous diatribe on the subject. Two drops of Laphroaig 10 can bring out the sweet character of an oyster, argues Martine Nouet. I read with great interest your opinionated argument about the use of whisky in cooking. I know your post was published months ago and I will appear slow to react. Well, let’s lay the blame on the Islay time difference! When I started pairing food and whisky, some 25 years ago, nobody had ever thought of doing it and I must admit I met more hostility than approval. But I carried on observing the impact of food on whisky flavours and vice versa. On some occasions, I dared to add a few drops of whisky to the food and realised it could create the most harmonious match. A simple example everyone can try: take a fresh, fleshy oyster – a salty, iodinic one. Depending upon national culinary habits, some would add a few drops of lemon, while others would prefer Tabasco or, as in France, might pour a generous teaspoon of vinegar and shallots (which absolutely kills the flavour of the oyster!). Instead, I would go for oyster and peated whisky and – with this type of oyster – two drops of Laphroaig 10-year-old (I did a lot of experiments before making this choice). Not a dash, just two drops. 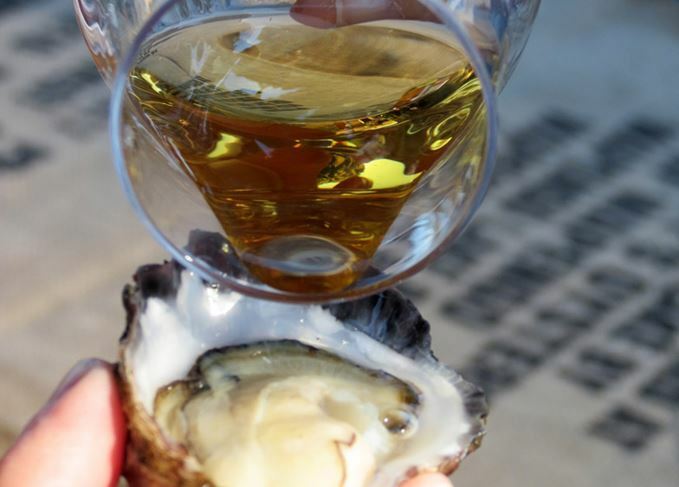 Something happens here: the medicinal character of the whisky surprisingly brings out sweetness in the oyster, while the latter adds a salty touch to the whisky. The sensation will be completely different if you drink whisky with the oyster as you will swallow more whisky and, thus, the whisky will dominate the oyster, and you will lose balance and harmony. You will say this is not proper cooking. Right, but it is incorporating the whisky into the food, which is what you are against. Now let’s talk proper cooking. You mention a cranachan laced with some Balvenie in your column. Not having tasted the particular dish you describe, I can’t comment on the flavours the whisky brought in, but I would say using Balvenie in a cranachan sounds a good idea to me as this single malt retains a honeyed character which can only complement the sweet. The crowdie (now mostly whipped cream) was traditionally sweetened with honey. You may argue: why add a honeyed whisky when the sweet already contains proper honey? The whisky brings in a flavoursome complexity – it is not honey on its own, it is honey and... – which broadens the aromatic spectrum of the dish. But, under the condition it is used with subtlety. The dosage is crucial and there’s the rub. Too much of the whisky and you have a solid cocktail. Too little and you have wasted the small amount you put in. I always recommend using whisky in food as a seasoning element, like a spice, a herb. And not to ‘cook’ it. Always add it at the last minute. There would be much more to say about the techniques and the choice of the whisky. I hope to be able to provide the answers to many questions soon, as I am working on a cookery (and whisky) book precisely called: A table. To be out in the spring. UK chefs and sommeliers are increasingly – and successfully – pairing whisky with their menus. Whisky is an excellent, if not exactly obvious, partner to your summer salads.